Yes, we have a Newsletter! The first issue will be in the post to each member at the start of February. Click here to download Q1 2013 newsletter and here for Q2 2013 newsletter. 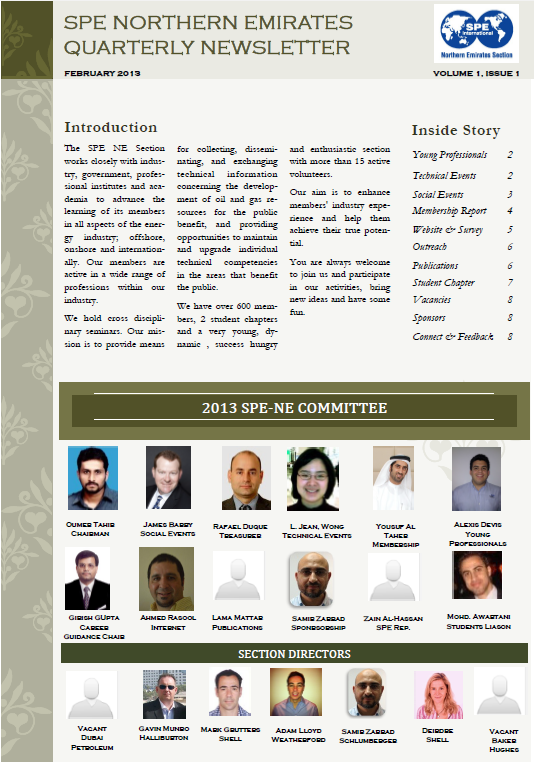 If you have suggestions or articles for future issues (quarterly) please send them to spe-ne@spemail.org. If your company would be interested in advertising in the Newsletter, please contact Rafael Duque, Section Treasurer, rduque@danagas.ae.